Unfinished quilt top is ready to complete, or to mount on a stretcher and display. 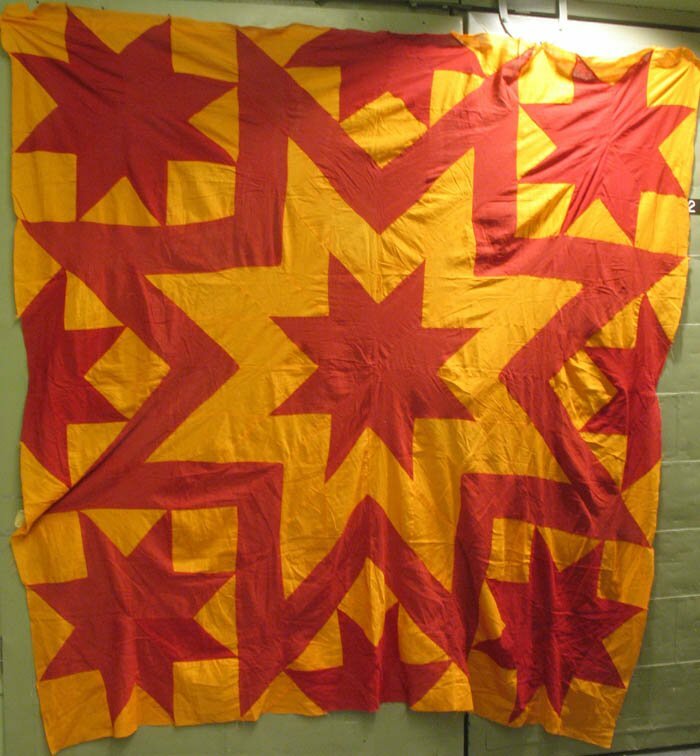 Vivid red and cheddar color cottons reflect a Mennonite origin from the late 19th century. The outlined star pattern is quite graphic and a rare variation of an eight point star. Accented with satellite stars in the corners between the arms. Imagine this one complete, pretty powerful image.